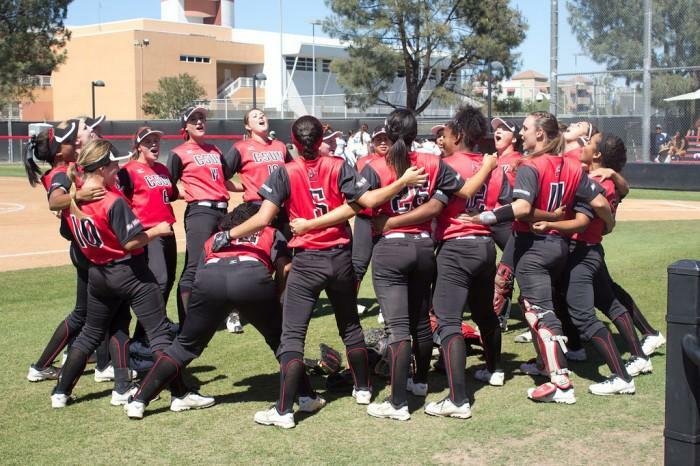 With an NCAA tournament berth already solidified after clinching a 2-0 win in a doubleheader against the University of Hawai’i on May 2, the CSUN softball team looks to take on the regional competition with a powerful team that has wreaked havoc throughout the 2014-2015 season. Killer offense, pitching and key players are at the helm for head coach Tairia Flowers and the team will hope to carry on their regular season form into the playoffs. 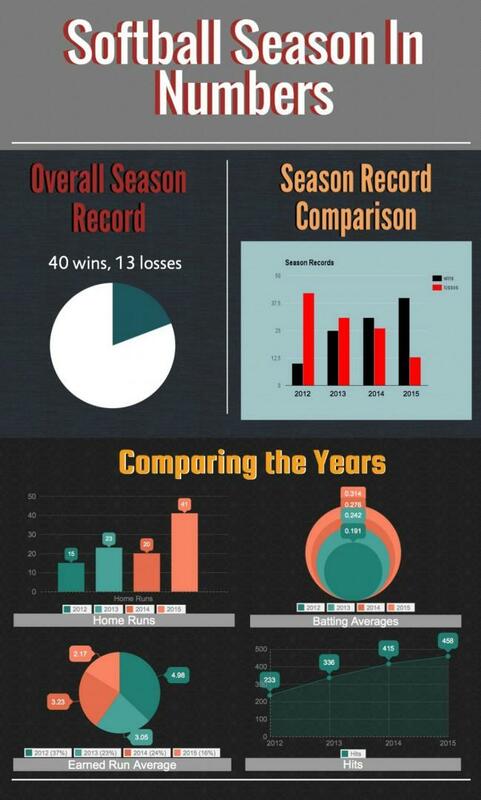 Here’s a look at some key players from the season. Coach Flowers will return to her alum on Friday, May 15 to face No. 7 UCLA in Westwood. 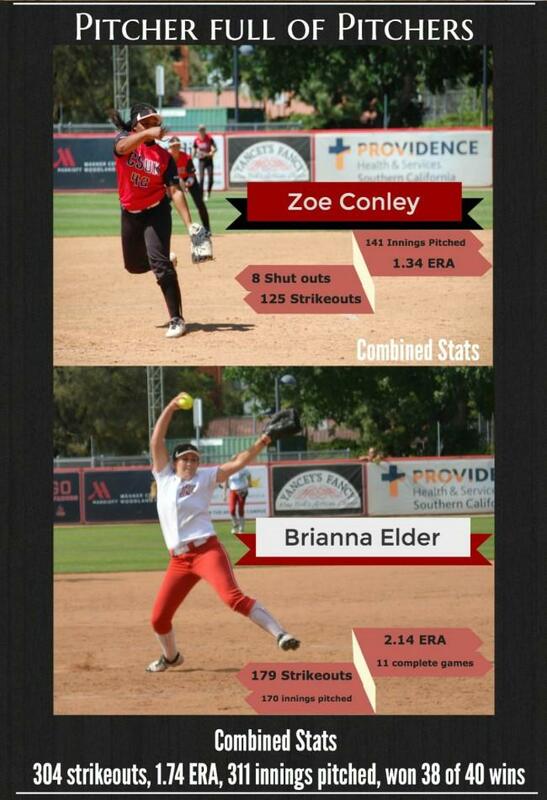 Like any other softball squad, the Matador offense lives and dies by the top of the line-up. 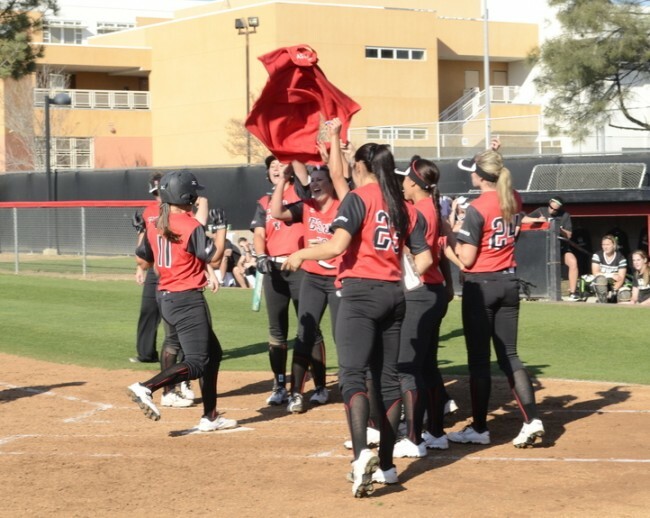 CSUN’s success is bolstered by players like sophomore outfielder Taylor Glover and freshman shortstop Savannah Horvath setting the table for one of the Big West’s most effective batters, sophomore utility Katie Hooper, who leads the conference in home runs (14), and RBI (54). As a team, the Matadors set the pace in the Big West, leading in all offensive categories except walks and on-base percentage. Opposing pitchers will have their hands full with a streaky CSUN offense that does a great job picking each other up in the early innings. Expect to see plenty of activity on the base paths as CSUN has the wheels to advance runners at their own pace. If Glover can lead an inning off with a single, expect to see the conference leader in stolen bases advance to second if the opportunity is right. The Matadors have the most prolific offense in the Big West, and if everything continues at the same pace during the playoffs, the Matadors will be a very dangerous opponent for any team they match up against. CSUN as a team leads the conference in runs, hits, RBIs and stolen bases. Fullerton is the only team that comes close to CSUN in runs, trailing behind the Matador’s 272 total runs with 263 of their own. The Titans are only one RBI away from tying the Matador’s RBI count at 238. And thanks to Glover’s big number in steals this season, the Matadors lead the conference with 82 stolen bases, with Cal Poly coming in a close second with 60, and Fullerton right behind them with 47. UC Santa Barbara is the only team that registered more than 400 hits, and even then they’re far behind CSUN’s hit tally of 458. It goes without saying that senior pitcher Briana Elder and freshman pitcher Zoe Conley are the two most important arms for Coach Tairia Flowers and the rest of the coaching staff. The two have combined for a staggering 304 strikeouts and a 1.74 ERA on 311 innings pitched. The two players complement each other very well. Conley pitches like a bulldog and has the power to blow by opposing batters, while Elder employs a much more cerebral approach at the hill, mixing pitches to her advantage, and keep batters off on their toes. Out of the Matadors’ 40 wins this season, the Elder/Conley duo was responsible for 38 of them on 19 complete games pitched. Elder’s experience makes her an exceptionally difficult pitcher to pin down, while Conley’s maturity at such a young age makes her a dangerous competitor to overlook. Watch for these two big game pitchers to give their opponents a few headaches during the tournament, and to collect the lion’s share of the appearances. · Jordan Sauceda: The senior pitcher hasn’t exactly lit up the box score this season, but her role on the team is an extremely valuable one; especially during the live or die nature of playoffs softball. Behind Conley and Elder, Sauceda has the most appearance on the hill, sporting a solid 3.12 ERA in 10 appearances and 24 innings pitched. Everyone knows what they’re going to get from Conley and Elder, but having a solid number three to plug into the starting role or relief situations when those two falter is integral. Keep an eye out for Sauceda not just on the hill, but at the plate as well. · Avoiding the Late Inning Collapse: The Matadors have had a minor issue closing out one-or-two run games this season. Out of the team’s 13 losses this season so far, 11 of them came in one or two run ballgames, and out of those 11 games, eight of them were the result of runs allowed in the last two innings (including a late inning loss to regional Powerhouse UCLA). The Matadors will have to hold their opponents off the scoreboard late if they want to continue their winning ways in the National Tournament. · Taylor Nate: Nate is sort of an anomaly on the field, kind of like teammate Katie Hooper. One game she’s manning the outfield, the next game she’s putting on the armor to catch Elder or Conley behind the dish. 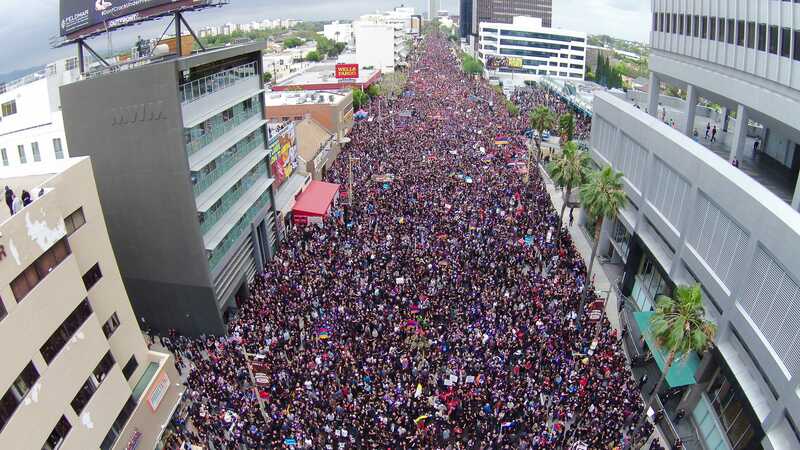 She might bat leadoff, or end up behind Hooper at the four or five spot in the lineup, or even drop down as far as number seven or eight in the batting order. She’s a versatile player that can play most positions on the fielder while having success at the plate. Having a player who can not only field multiple positions, but can hammer the ball low in the order on a team that has a fairly top heavy line-up is incredibly helpful to restart rallies after the initial one-through-five batters have taken their hacks. Nate is batting a respectable .289 batting average, with five home runs and 24 RBI with just three games left on the schedule. Look for Nate to come up with some key at-bats during the tournament.